The Port of Zeebrugge is on the coast of the North Sea, the busiest sea in the world and on the southern border of the delta of the three rivers: the Scheldt, the Maas and the Rhine, which have represented for centuries the main access route by sea to Western Europe. A few decades ago Zeebrugge was a relatively small port. When modernizing, the port Zeebrugge took advantage of the technological innovations and the global expansion of shipping. 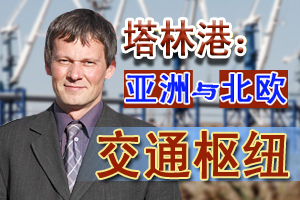 This time during the period of Mr. Kang Shuchun, CEO of Shippingchina's European business trip, the journalist has the honor to take an interview to Mr. Vincent de Saedeleer, Vice President of Port of Zeebrugge. 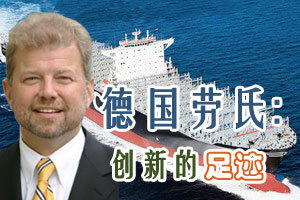 Journalist: It is said that this year Port of Zeebrugge will take great business action in China. 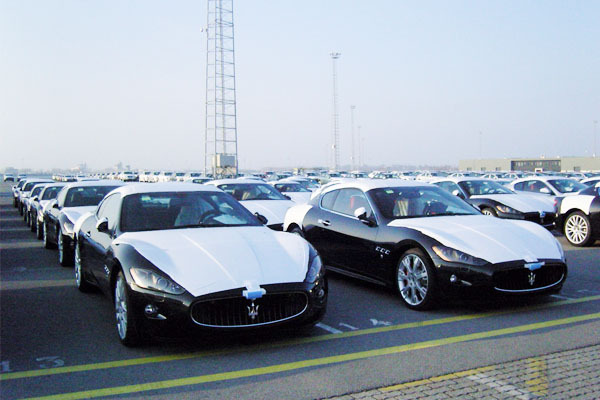 So what are the main purposes for the Port of Zeebrugge to so? Mr. Vincent de Saedeleer: We are a new comer and we have great interest in the Chinese market. We know that we are still not sufficient known to the Chinese traders though 30% of our container throughput is imported and exported from China. So for us it is very important to be here to make us known to our potential partners. We are also searching for Chinese investment cooperation, such as partner SIPG, who we welcome in our port. 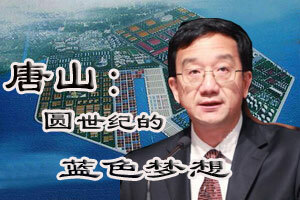 They will take a substantial share in the container terminal. We hope to find more cooperation chance here through this exhibition. We will expand – create new terminals hence new opportunities for the market. Journalist: Among the ports of Belgium, you are really proactive in exploring the Chinese market, is your port always so proactive? Mr. Vincent de Saedeleer: Yes, and in fact this is the most outstanding character for our port in the process of achieving success. Compared with other ports that are more traditional and more self-complacent, we are the new comer and we are chasing the business in the Chinese market. As a result, while other ports that are waiting to see if there is somebody to come, we are already along with that client, see their files and looking for what we can support. That is the difference. We are proactive and always chasing the business as a mid-scaled new comer. Journalist: Your port’s character must have inspired many readers now so could you please specify the port’s service status to the readers? Is there any special feature? Mr. Vincent de Saedeleer: The main traffics’ services in Port of Zeebrugge are roro traffic, container traffic, European food center, passengers and so on. 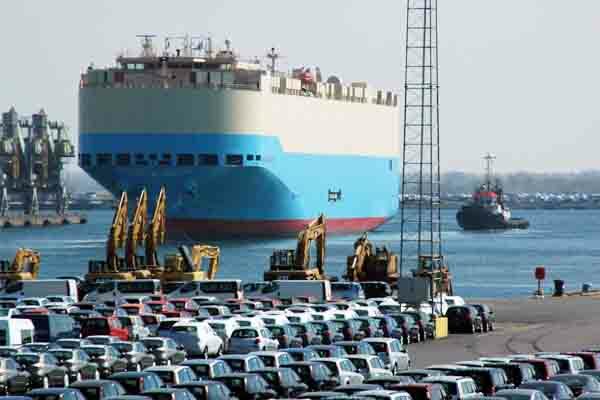 For roro traffic, nearly 13 million tons of roro freight is handled every year: more than 1 million RHU’ s and 2,208,906 million new cars. To this purpose the port is equipped with 23 roro berths with a total handling capacity of 3.500 RHU’ s per 24 hours. For container traffic with more than 20 million tons of container cargoes (2,020,723 teu) handled annually, Zeebrugge is one of the few ports amongst the container ports in Europe that can easily handle the large container vessels (from 10,000 to 14,000 TEU) due to the substantial water depth and the sophisticated terminal equipment. For the European food center, a cluster of cold stores and value-added facilities where fruit, vegetables, chilled and frozen meat are handled, packed and distributed to the European big distribution centers. For passengers services, every year Zeebrugge welcomes approximately 650,442 passengers who make use of the ferry services to Hull and Rosyth or call at Zeebrugge on board of a luxury cruise vessel. Journalist: Thank you for your detailed explanation on the port’s present service. Could you present us the future plan of the Port of Zeebrugge and what does the plan means to the clients? Mr. Vincent de Saedeleer: In our future plan we allow our customers to grow with us. and provide outstanding service. I must say in the background we have important projects in the Port of Zeebrugge. Right now we handle 2 million teu in the container sector. 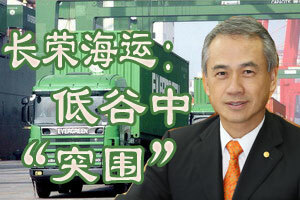 With what is under construction and execution, by 2010 we will be able to handle 5 million TEUs. In comparison, other European ports struggle with major congestion. To the contrary, we have projects under execution, we have land and we have space for development. We have available a custom free trade zone to access the European markets. In this zone multi solutions are available by working through an existing logistic provider or invest in proper facilities. Our aim is to make sure every client can have the specified, individual service in place and allow for grow as it develops. 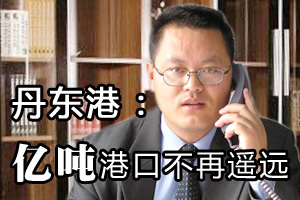 Journalist: Is there any cooperation project carrying with China now? Mr. Vincent de Saedeleer: Yes. 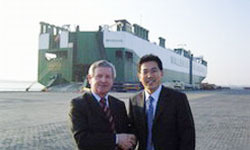 We have sister-port relationship with Tianjin Port and Xiamen Port. 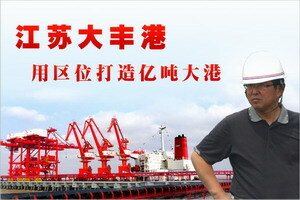 The cooperation with Tianjin Port refers to the exchange of people, trades and mutual promotion. 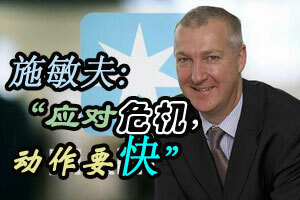 And we do the same with Xiamen Port. 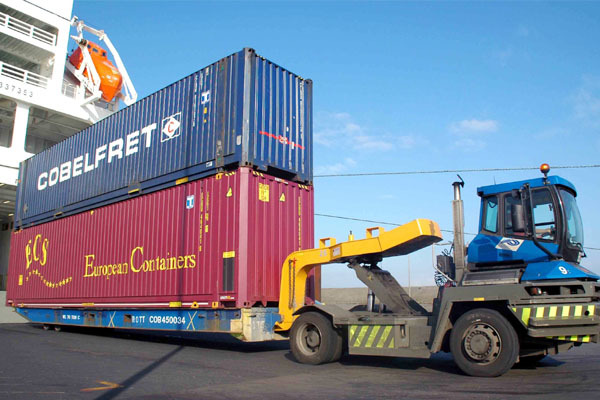 For our contacts in China we work mostly through the channels of shipping lines like China Shipping, which is one of our most important clients. And also with COSCO, we maintain good relationships. And this year we intend to establish representative offices in China with well-trained representatives. 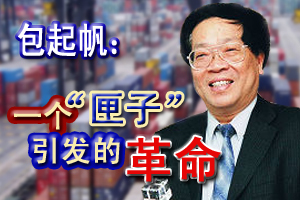 Journalist: Thank you for your presence for DIALOGUE and share your port’s profile with the members of Shippingchina.com who has 200 thousand members with 2 million clicks per day. So what would you like to say to the members here?